In order to meet the clients' variegated demands, we are engaged in trading, exporting and supplying a wide collection of Infants Wear. It includes Baby Girl Tunics, Fancy Baby Frocks, Printed Baby Frocks, Baby Fancy Wear and Baby Winter Suits. These products are highly esteemed into the market place, owing to their extraordinary value in terms of perfect size, design and vibrant colors with a perfect blend of grace which can be availed from us at industry leading prices. We are the manufacturer and exporter of Baby Winter Suit. 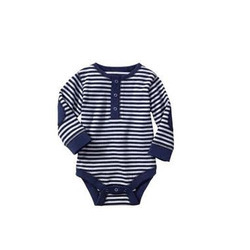 Our company gained expertise in offering an array of Baby Winter Suit that are developed by utilizing quality approved fabric that is obtained from trusted and certified vendors in the industry. These are known for trendy designs and neat stitching. They are wrinkle and shrink resistant and are available at most affordable rates. We are doing stocklot / surplus Business.